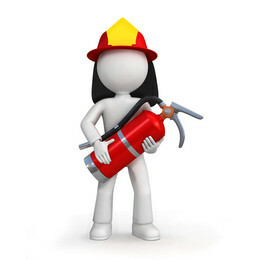 Fire extinguisher training is essential in all businesses. Not only does it help your employees to employ safe practices it also is a legal requirement in the UK under the Regulatory Reform (Fire Safety) Order 2005. 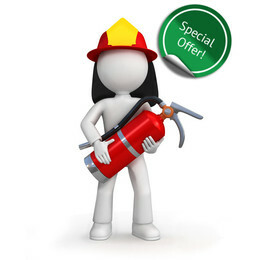 Our fire extinguisher online training is an easy to follow, yet informative, video training course that inludes interactive games. 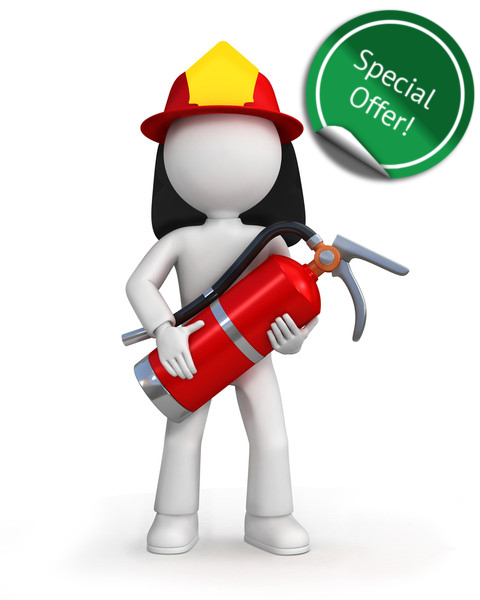 This cost-effective training program is Institute of Fire Engineers approved and complies with fire safety law. When a fire extinguisher should be used to tackle a fire. The hazards and risks involved with using a fire extinguisher. The correct type of fire extinguisher to use for different fires. Videos can be reviewed as often as required until the candidate feels they are ready to answer a small set of multiple choice questions related to the information they have learned. Once the test is complete the candidate will receive automatic certification that complies with fire safety law and will have full access to the videos for a further twelve months. On completion of your order we will contact you with all the details you need to take the course. All of our online Training is currently half price! The discount has already been applied to all of our online video training. All you need to do is add your selection to your basket and proceed to the checkout.